Police investigating the suspicious deaths of two people found near Gladstone in central Queensland have taken a man into custody. 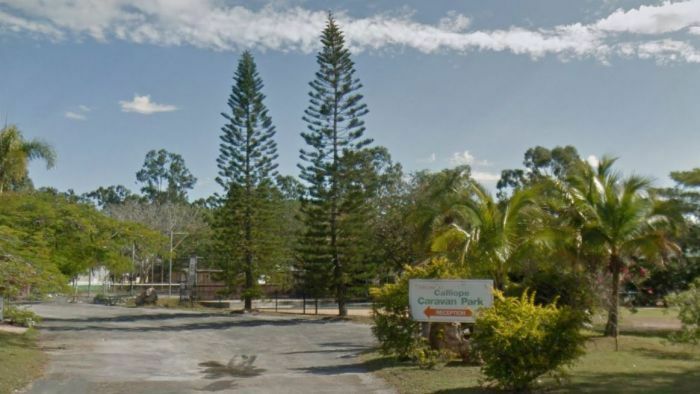 Authorities were called to a caravan park in Calliope just before 5:00pm yesterday after the bodies of a 63-year-old man and a 60-year-old woman were found. The man was found outside his caravan with significant head injuries and was transported to Gladstone Hospital where he was pronounced dead. The woman was found dead inside her caravan with significant injuries. The exact causes of death are not yet known. The ABC understands the man was a retiree who had lived at the park for 35 years and was in a relationship with the woman. It is understood the woman was also a long-term resident, but the pair lived separately. A man, taken into custody this morning, is now assisting police with their inquiries. Police said a weapon had been found but would not confirm what it was. The two sites were declared a crime scene after another resident found the man and called emergency services. Detectives from the Homicide Investigation Unit will travel to the town today to help local police investigate. Detective Inspector Darrin Shadlow said the incidents may have occurred sometime between 3:30 and 4:40pm yesterday.